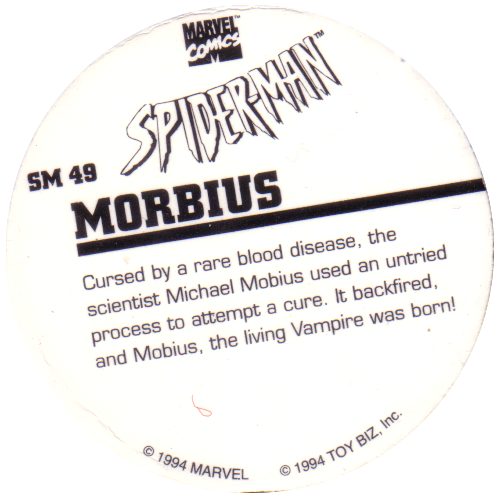 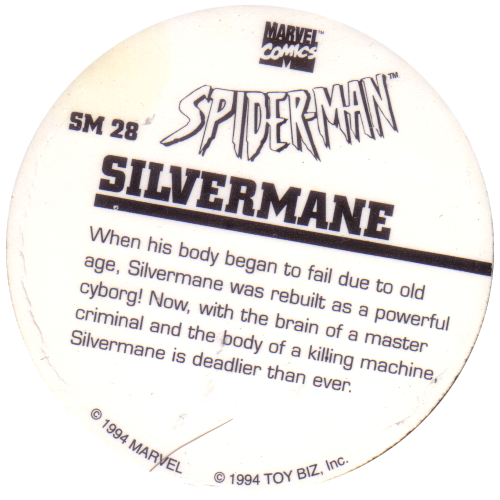 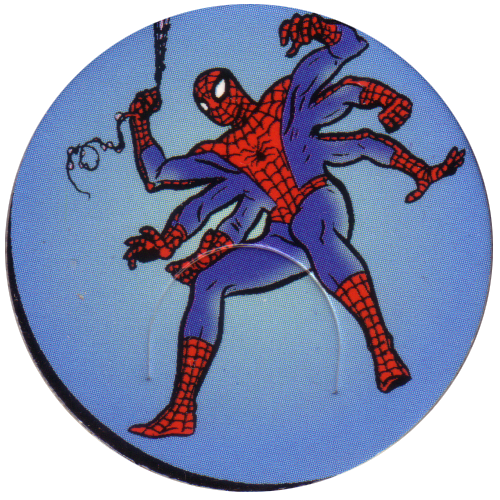 Info:This is the full set of 50 Spiderman Marvel Comics pogs made by ToyBiz in 1994. 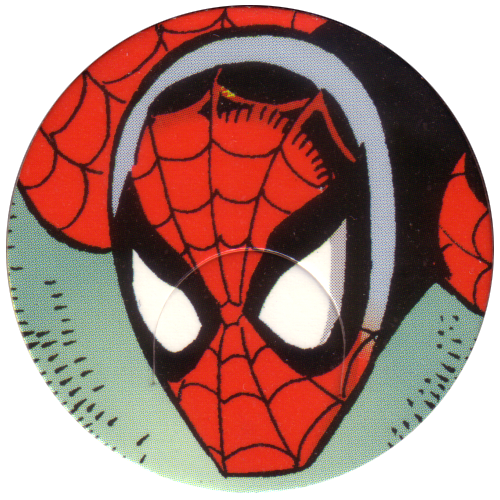 There are two versions of each milkcap - one with a thumbtab (thumb shaped mark cut into the front), and one without the thumbtab. 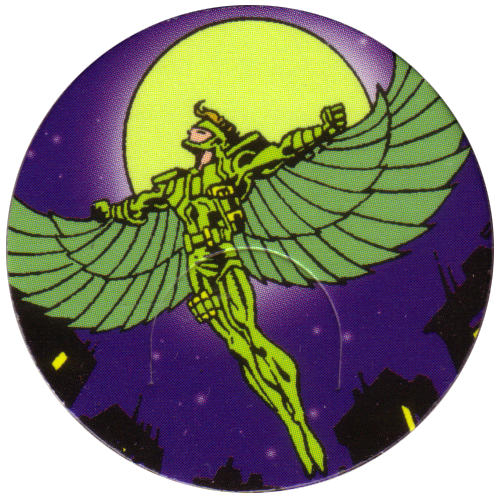 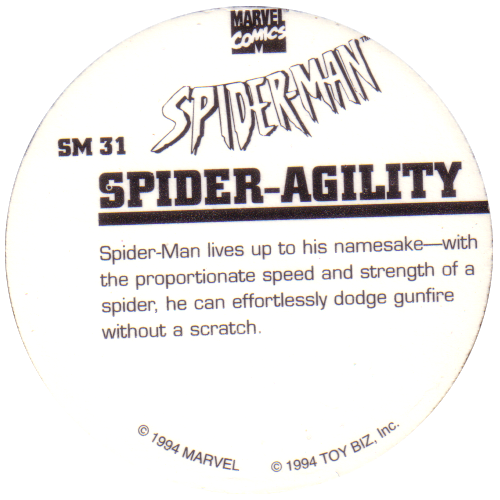 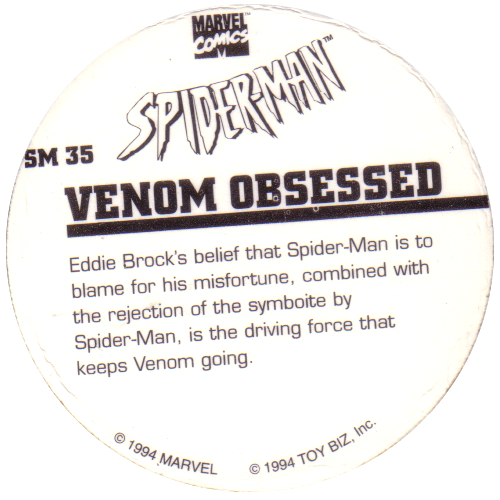 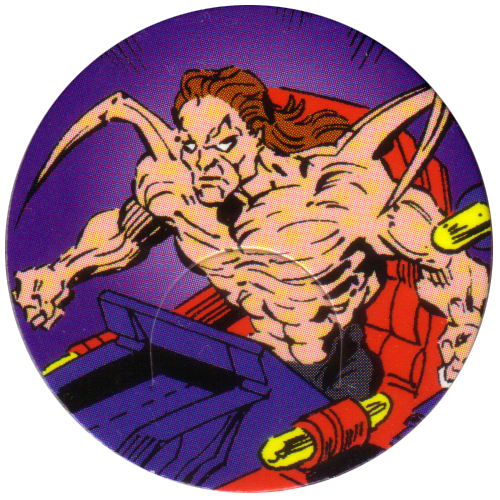 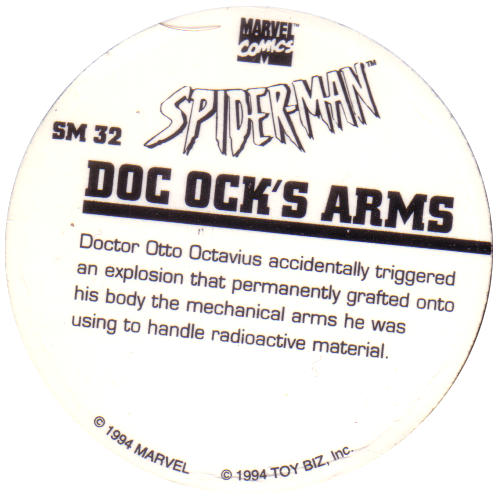 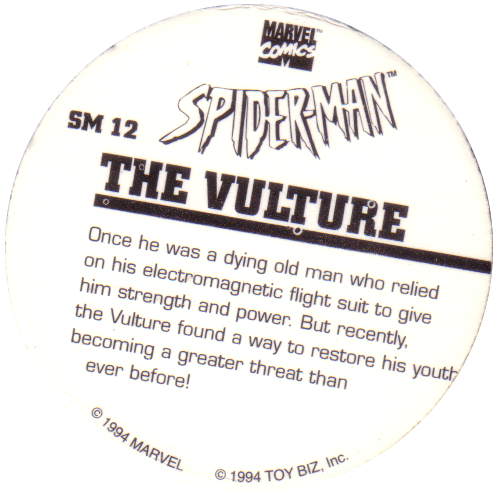 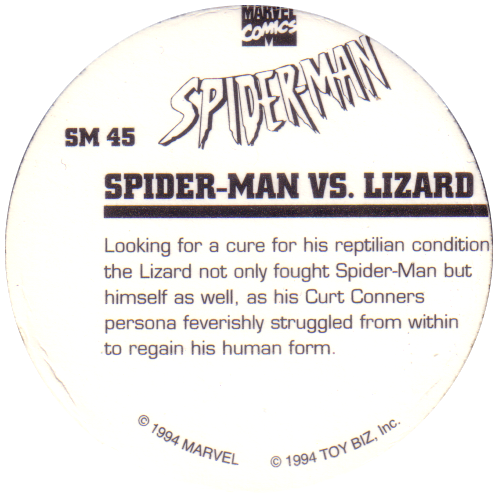 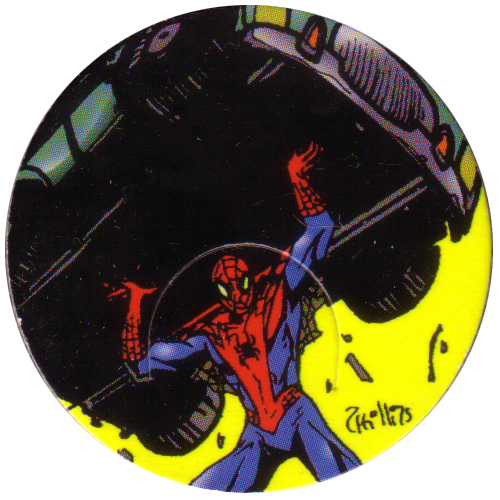 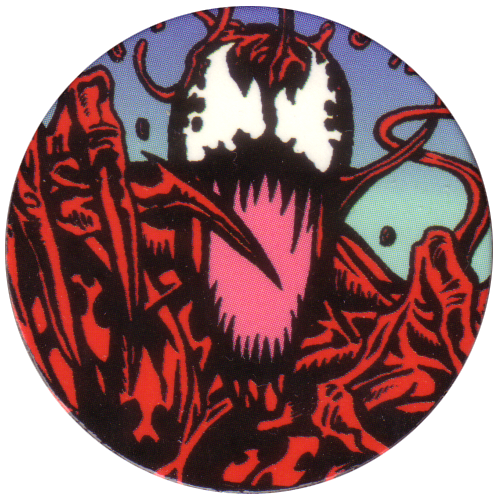 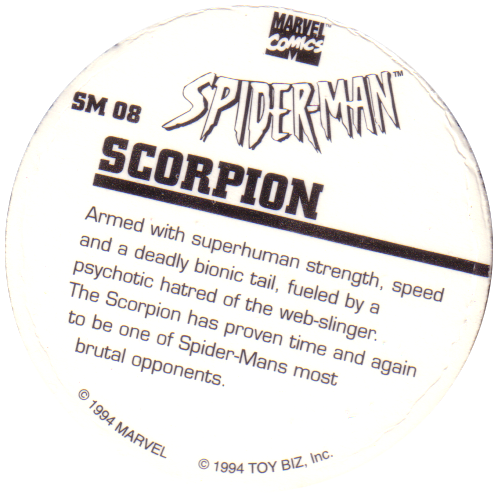 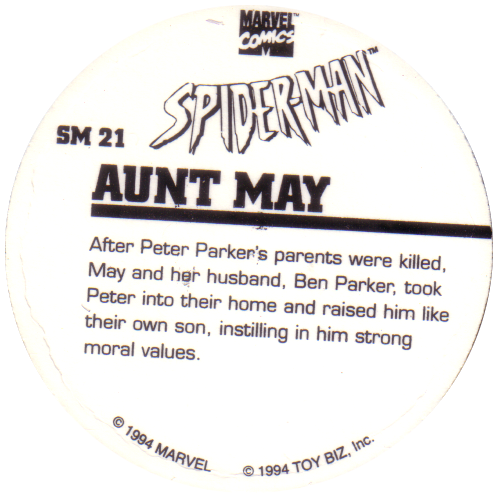 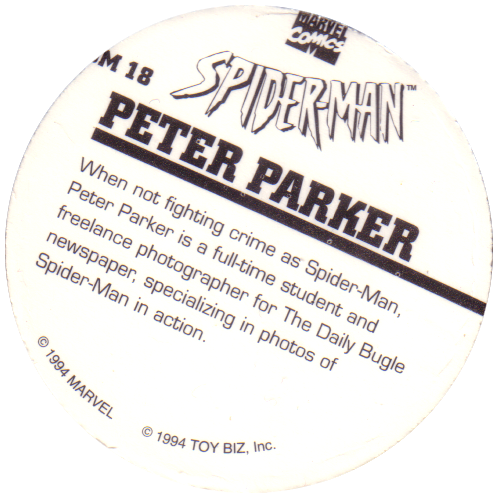 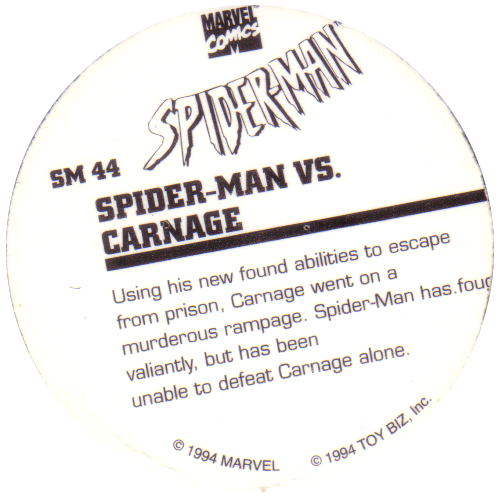 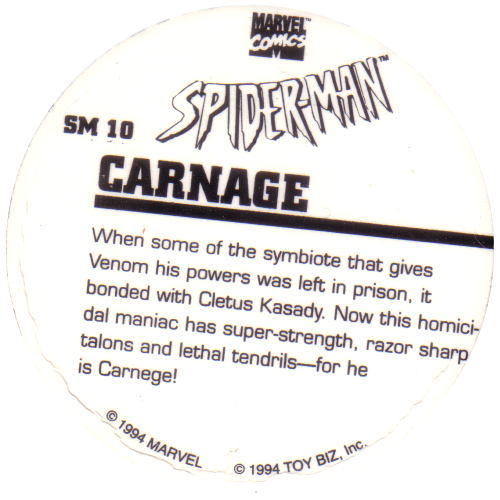 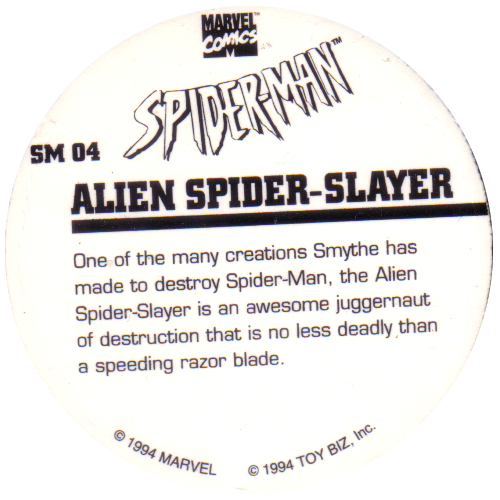 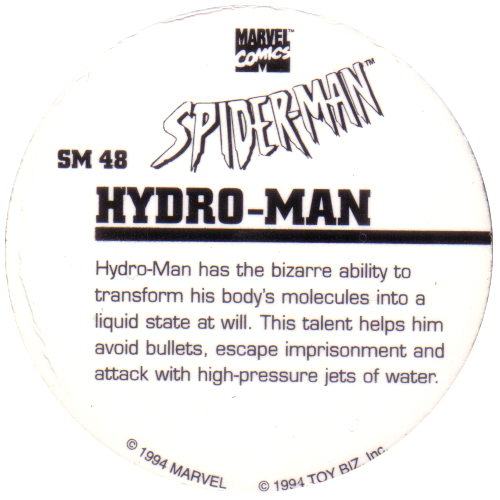 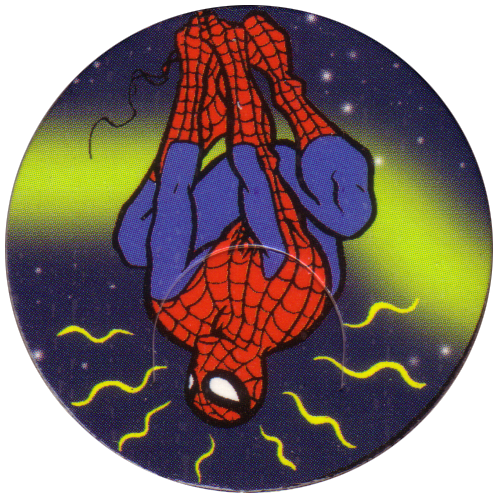 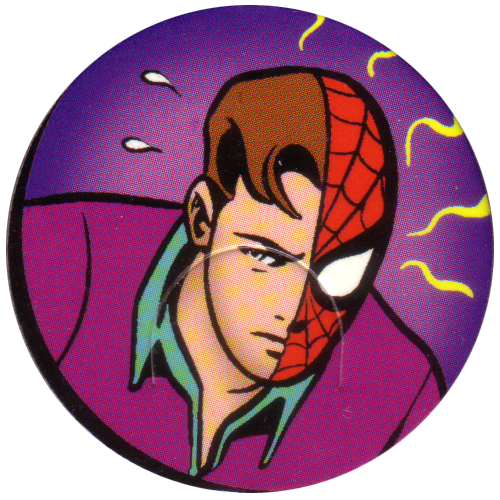 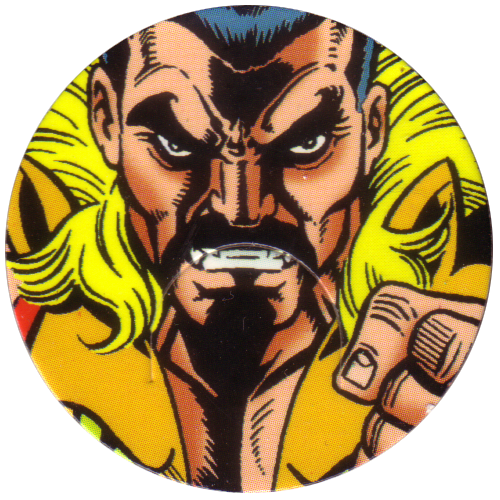 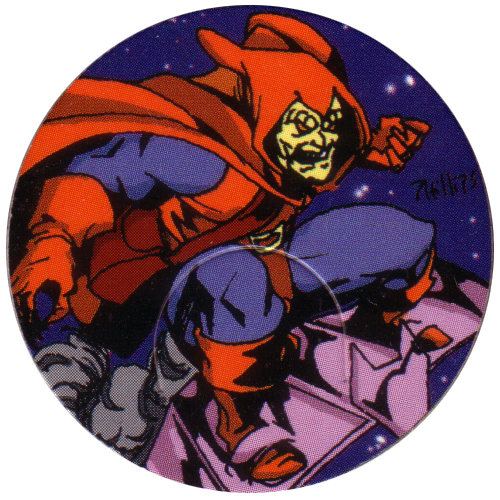 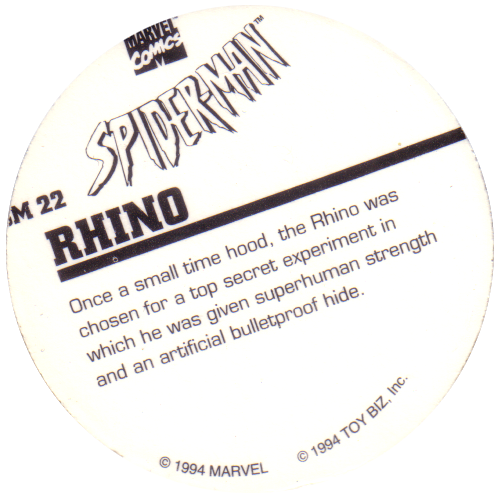 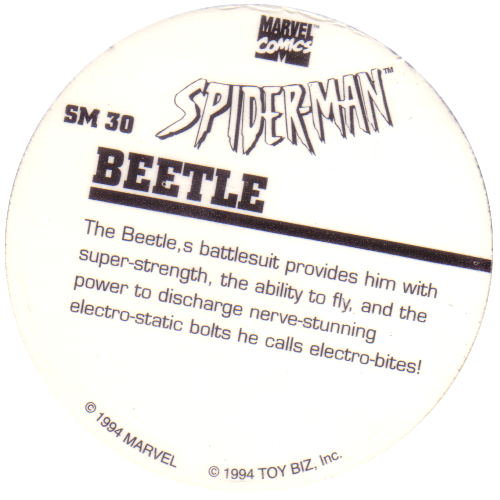 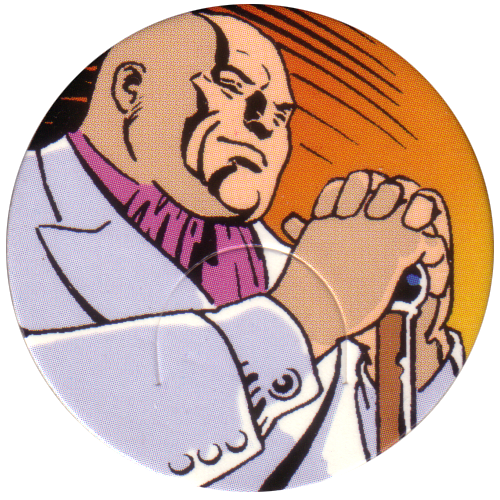 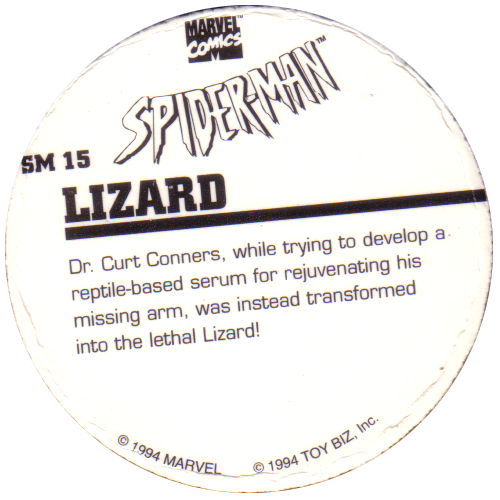 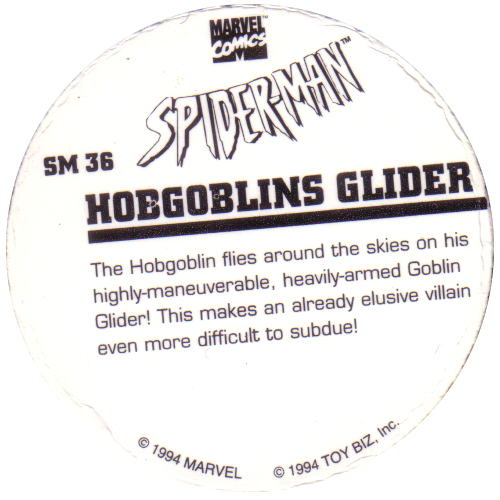 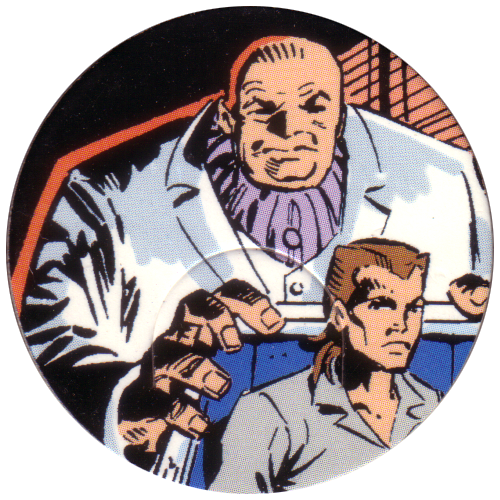 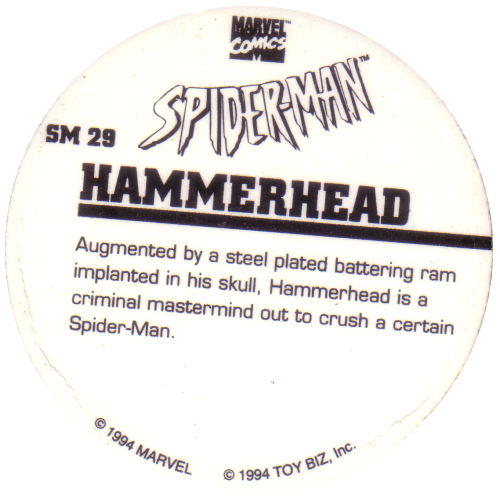 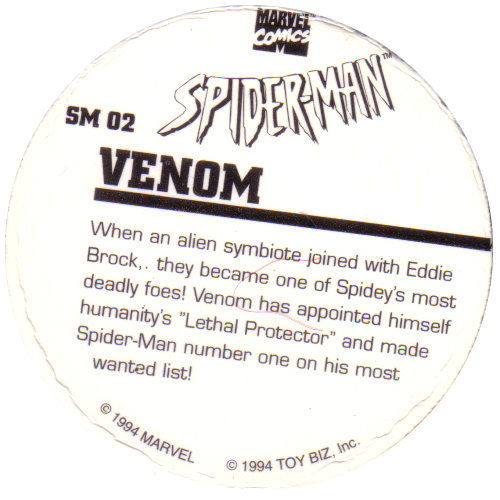 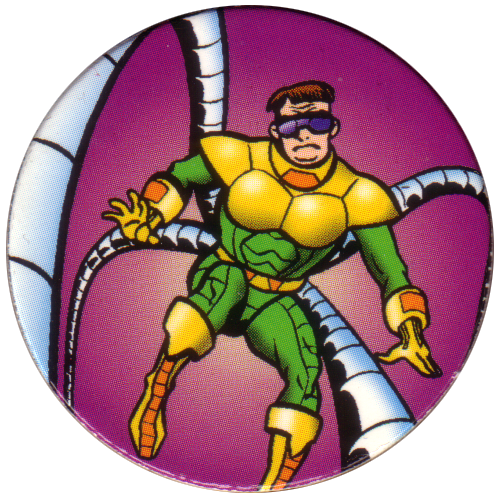 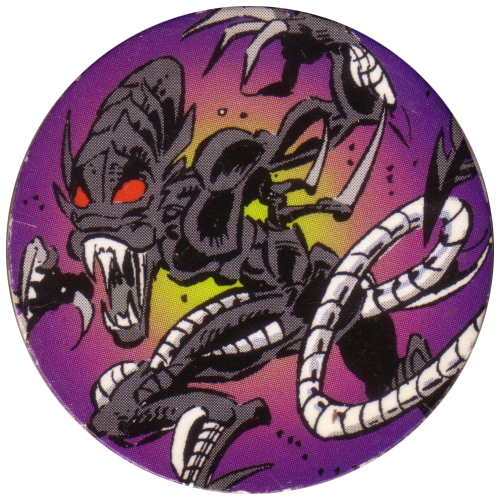 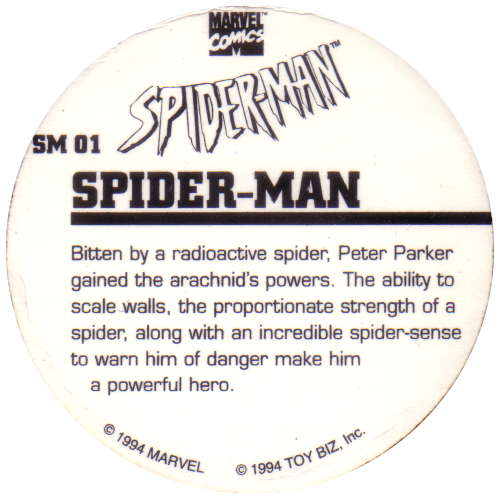 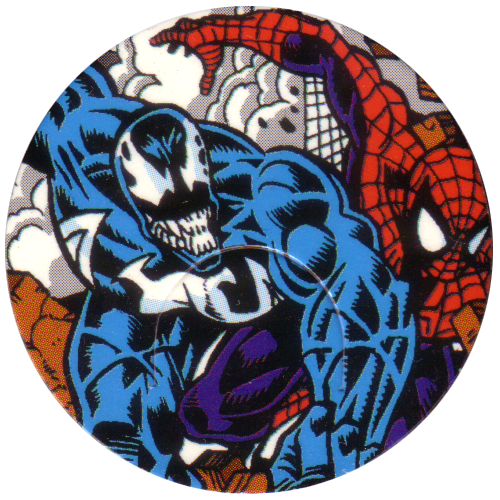 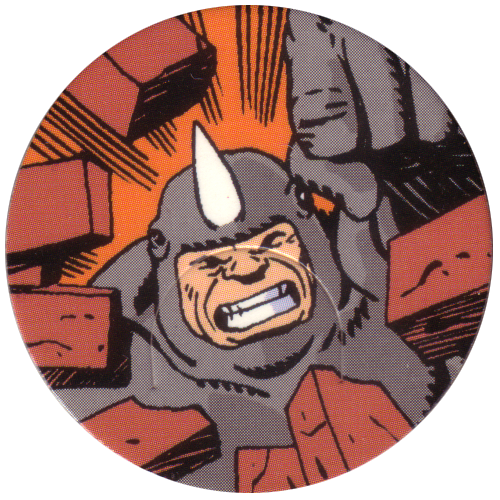 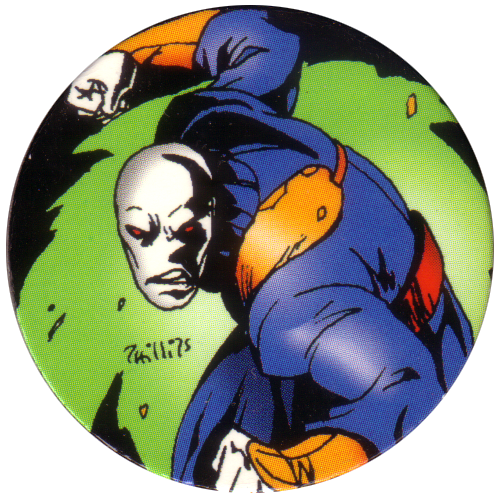 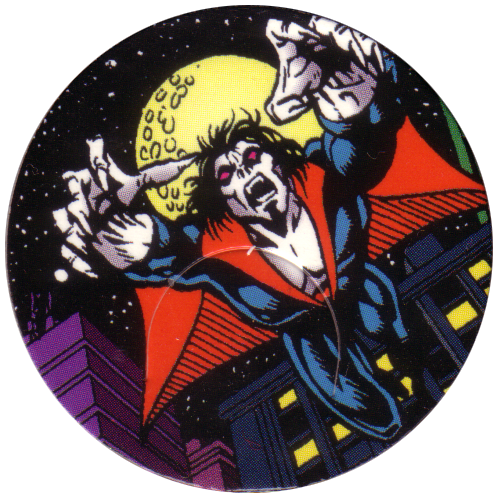 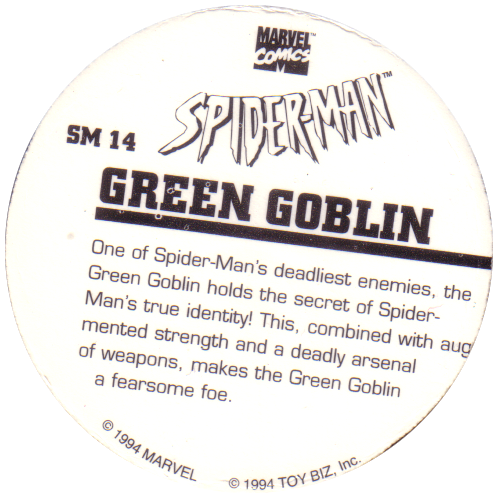 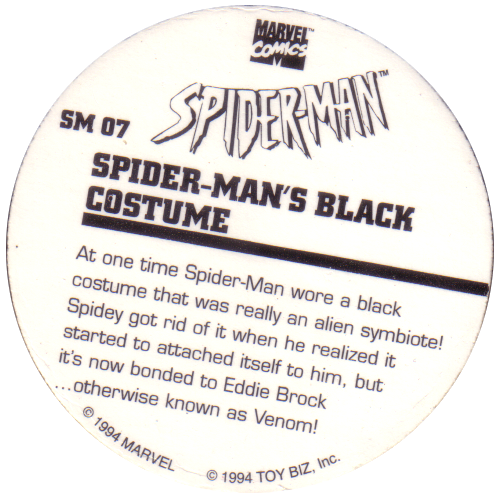 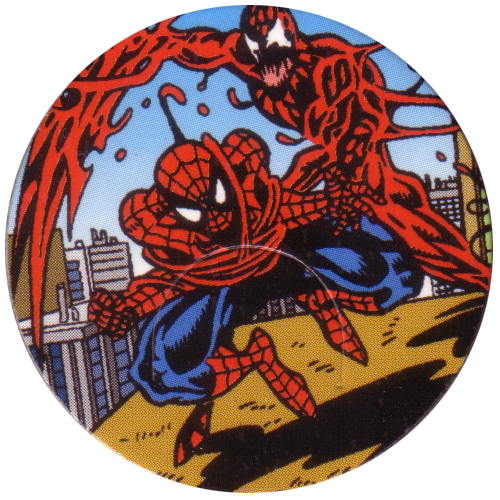 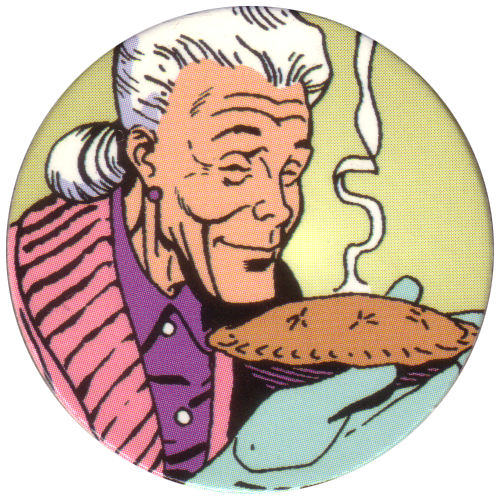 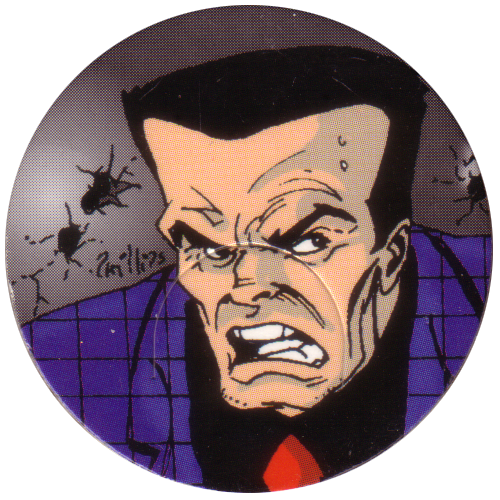 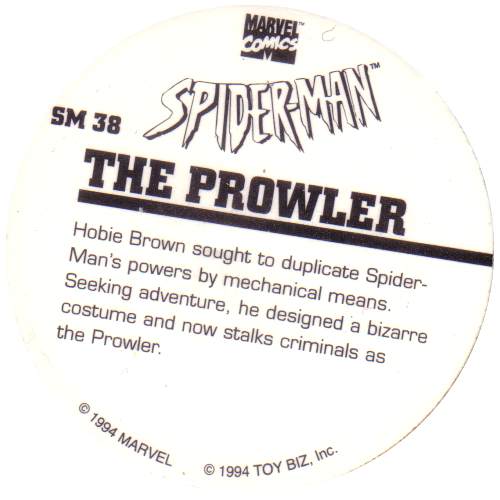 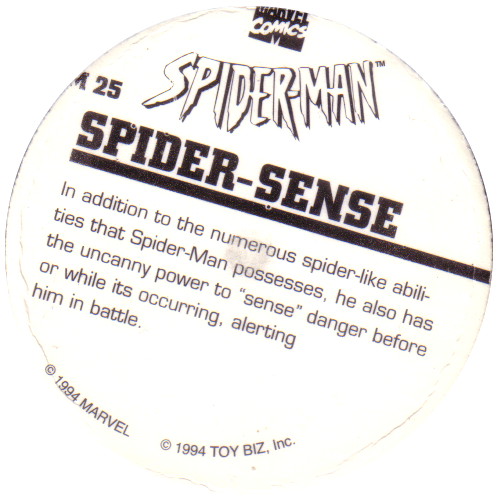 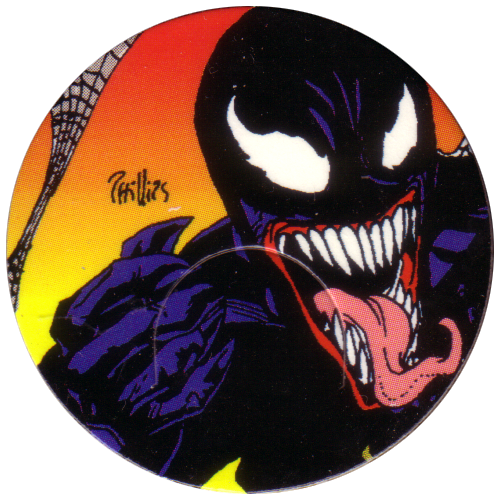 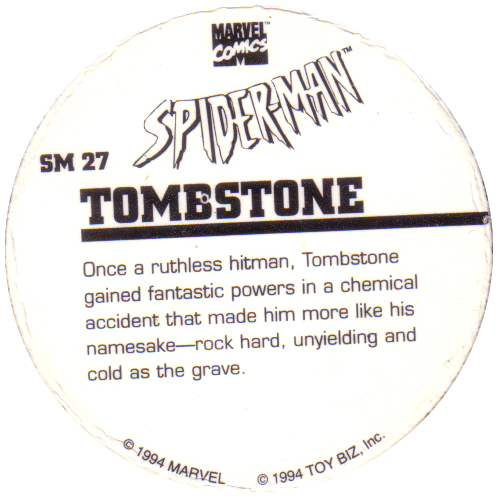 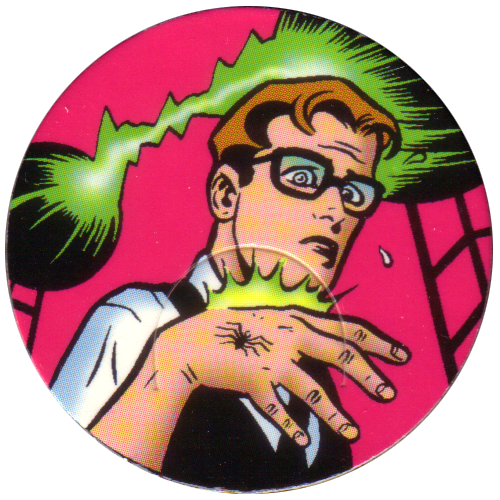 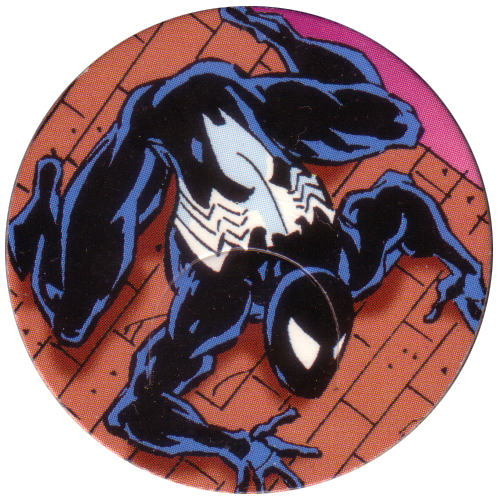 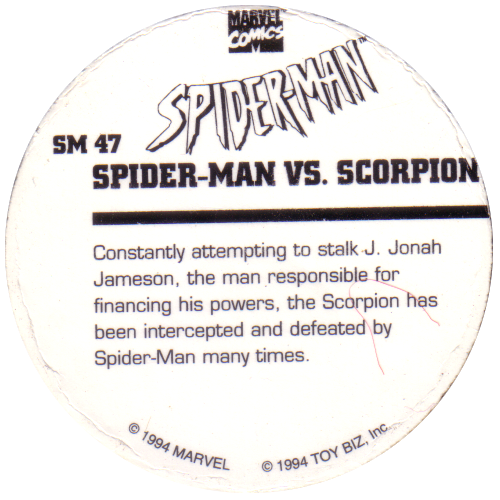 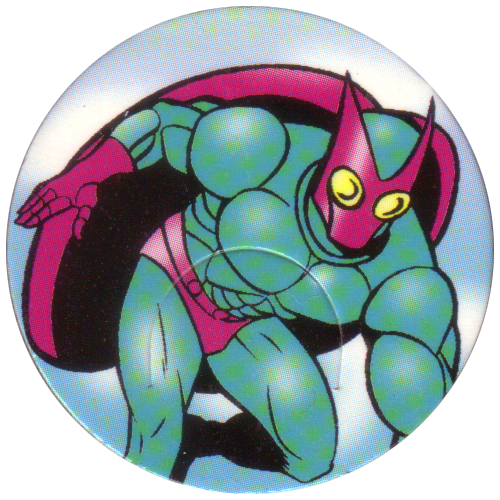 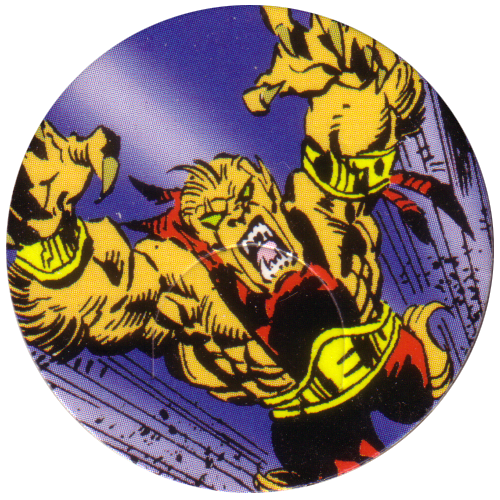 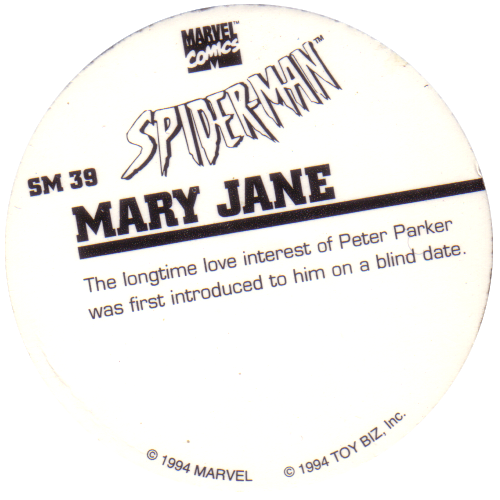 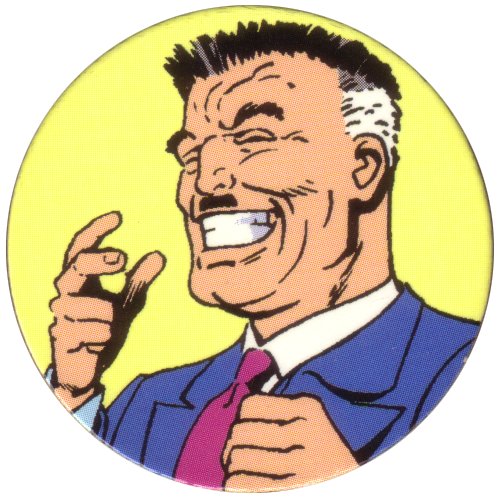 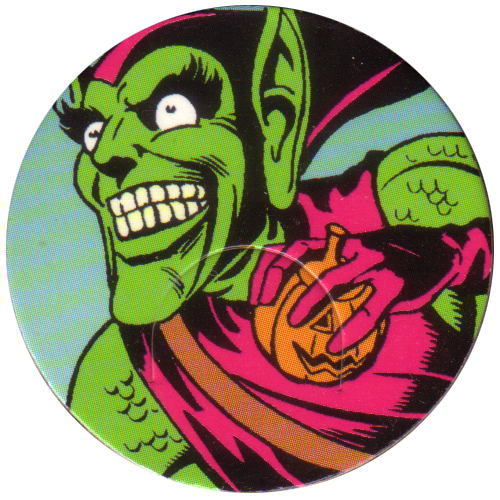 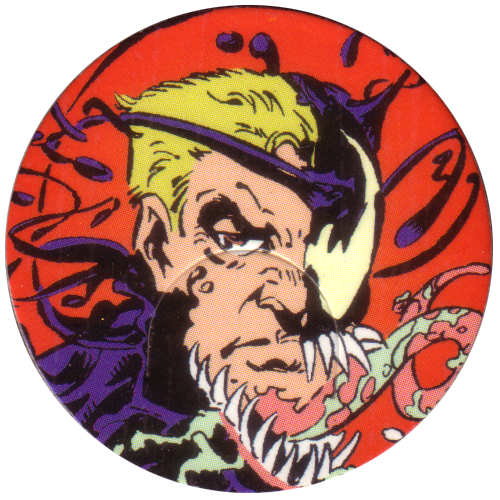 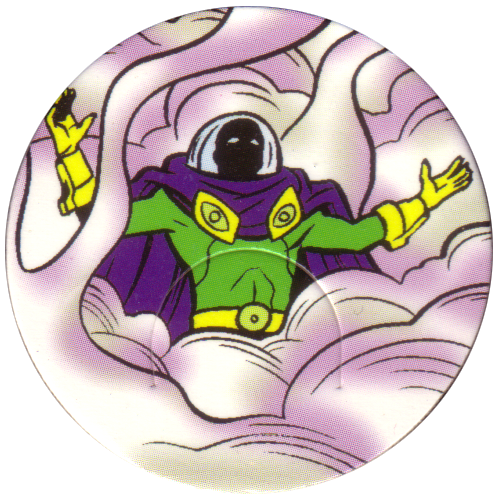 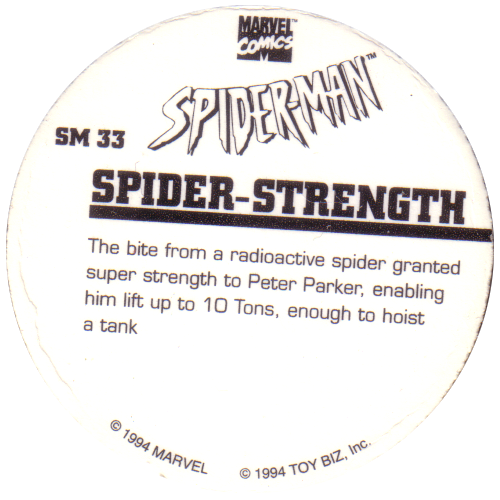 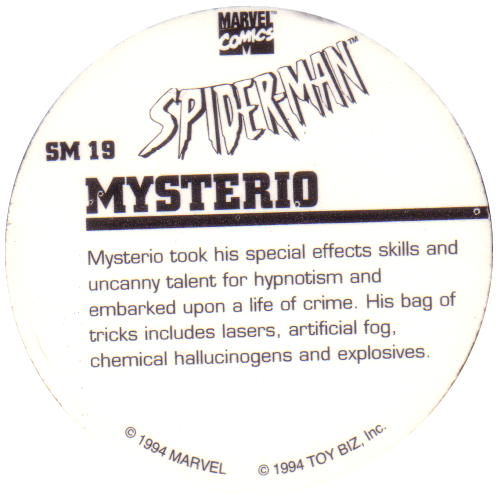 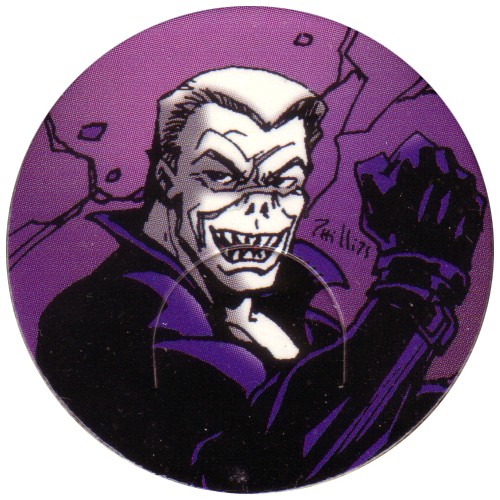 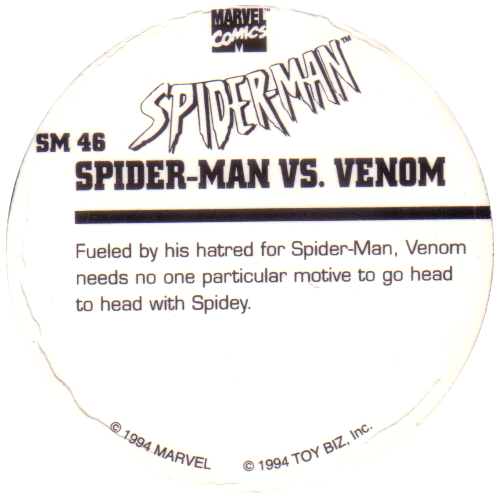 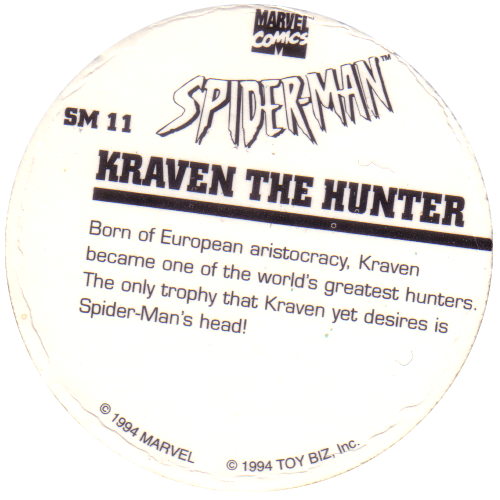 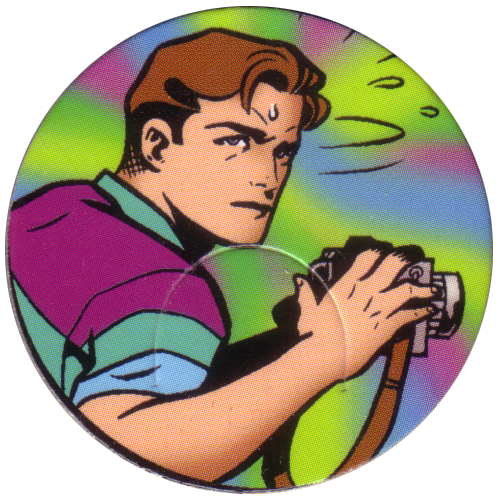 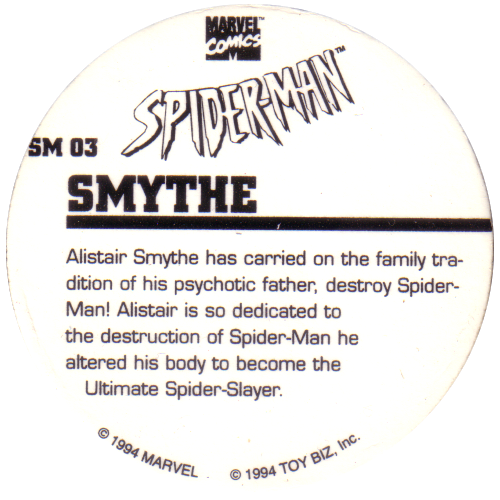 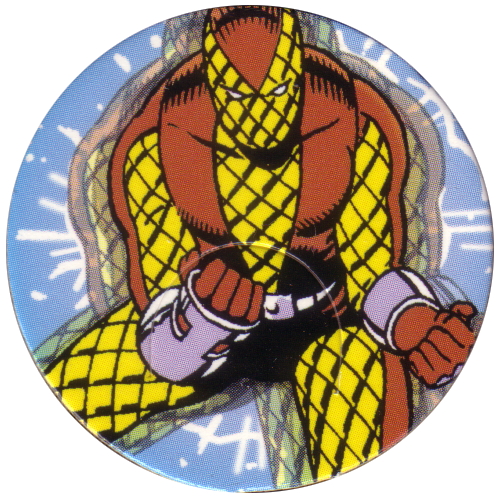 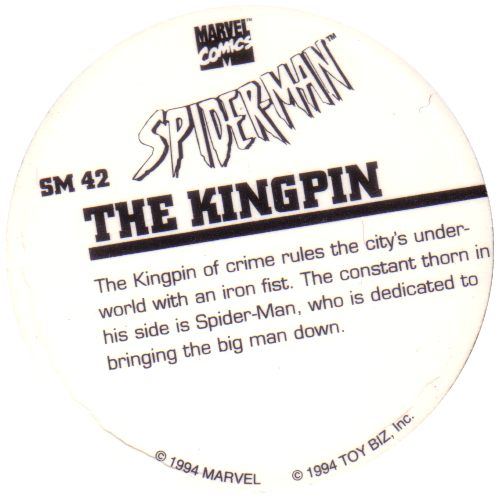 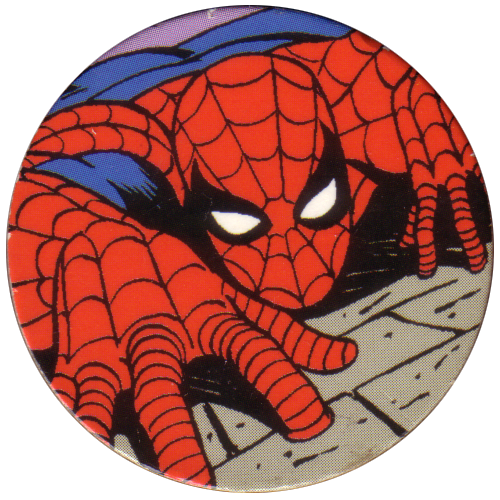 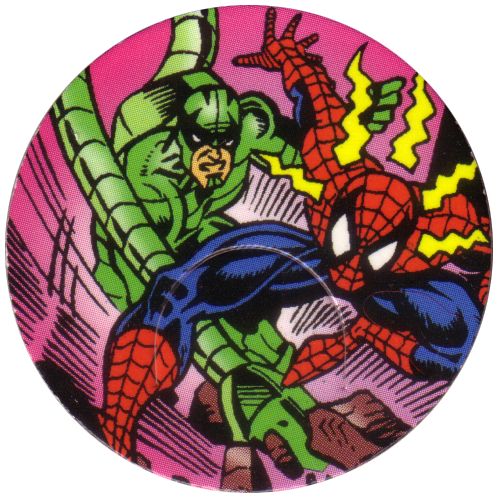 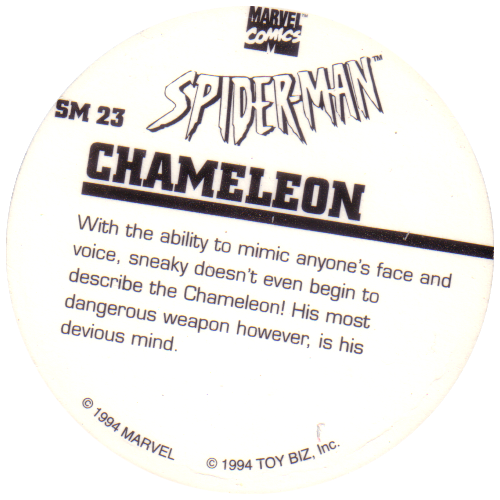 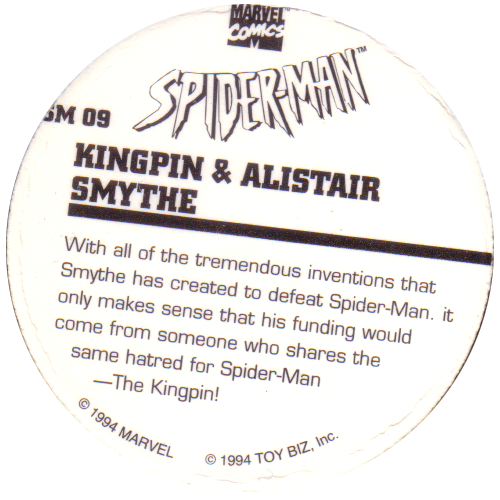 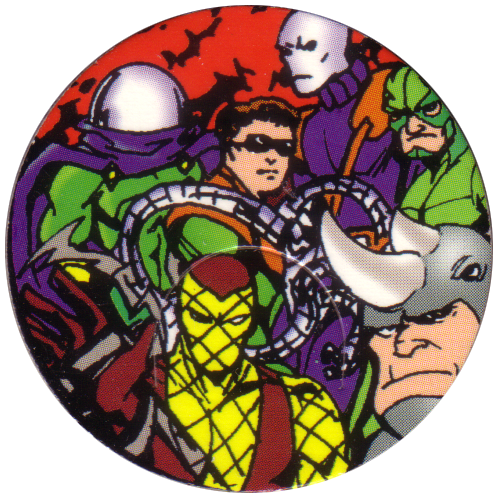 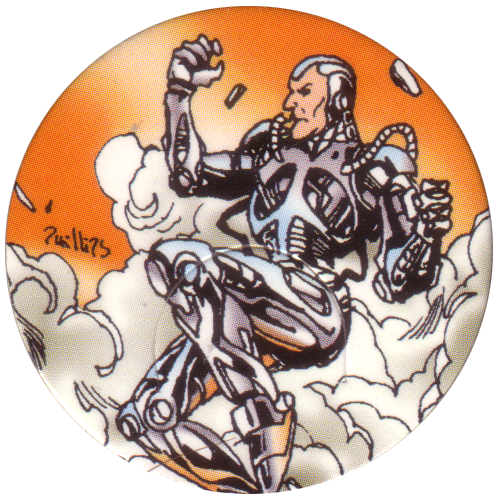 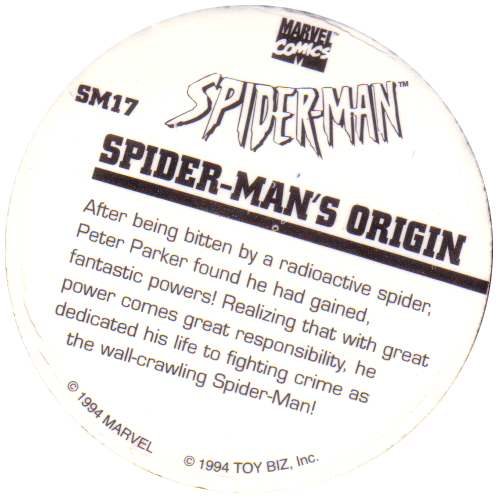 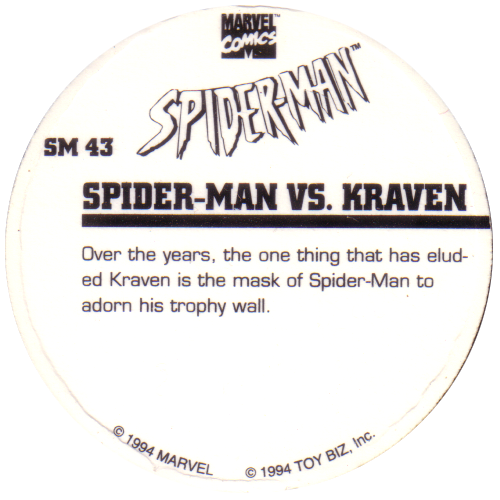 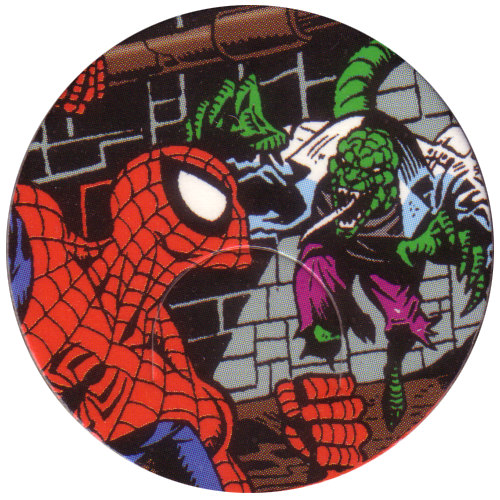 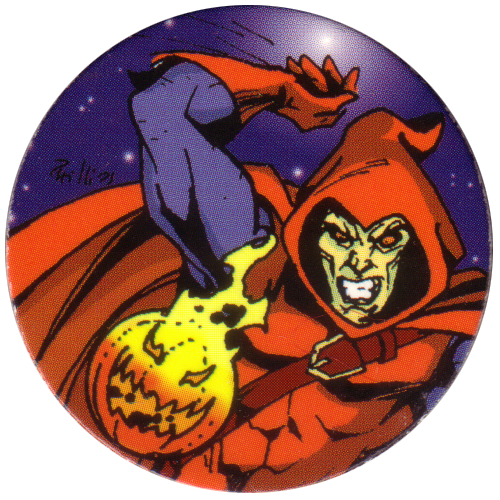 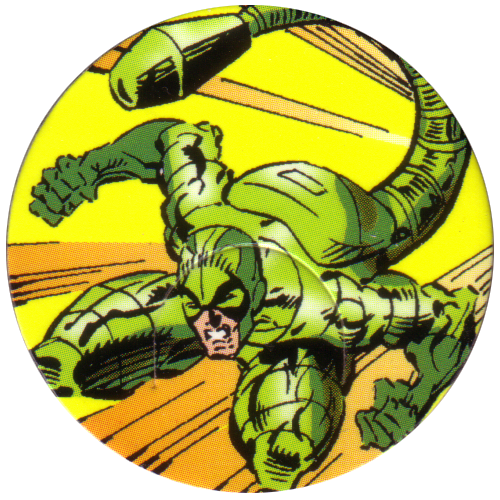 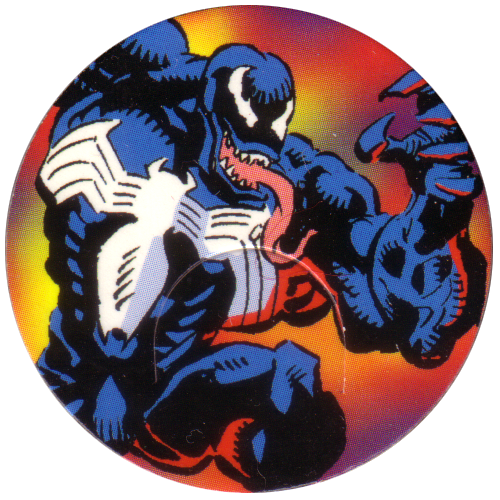 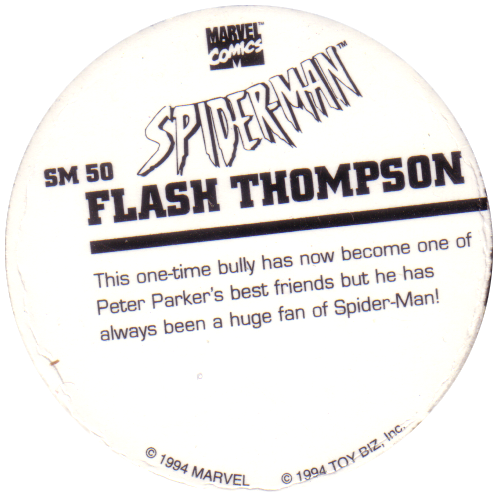 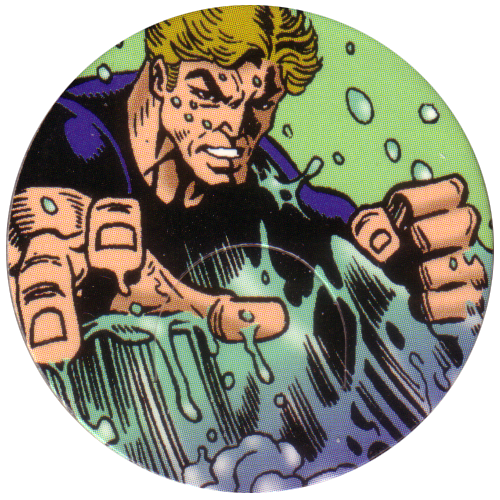 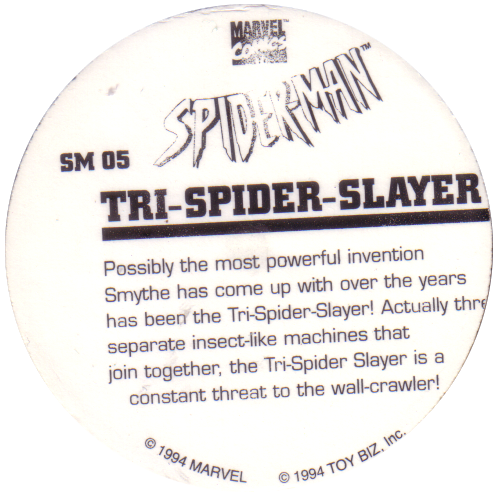 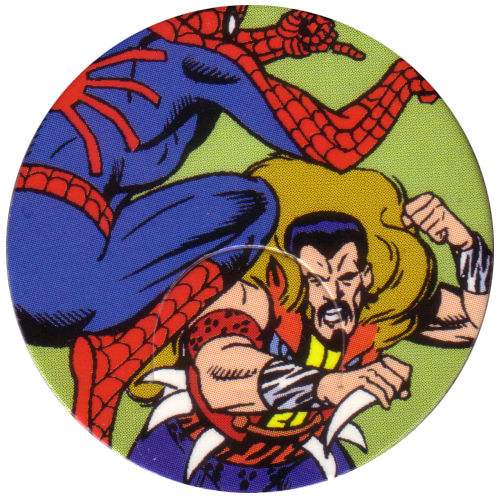 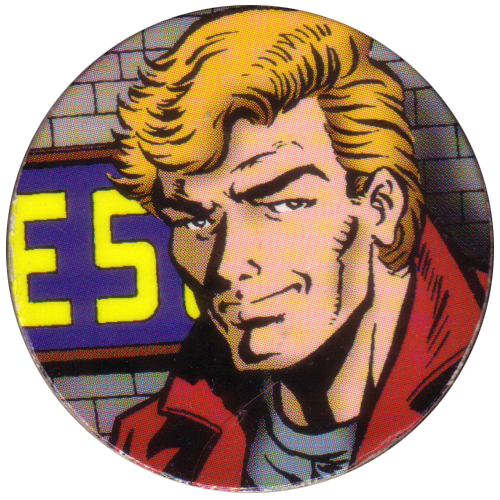 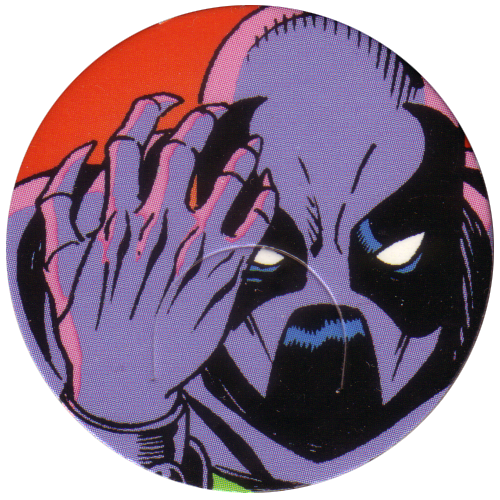 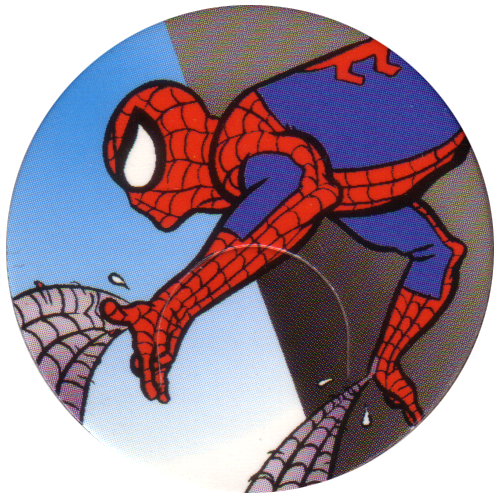 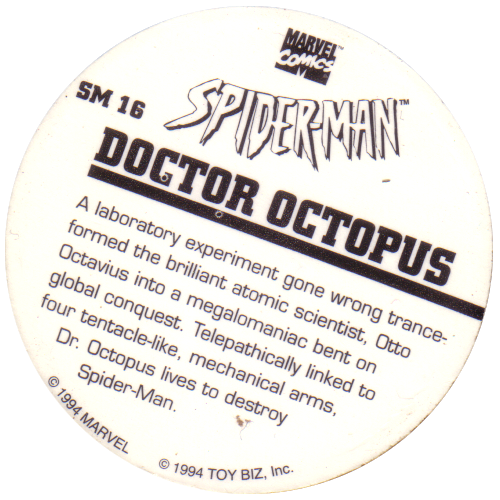 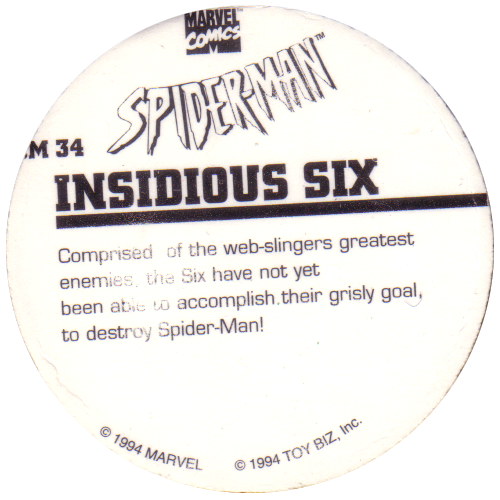 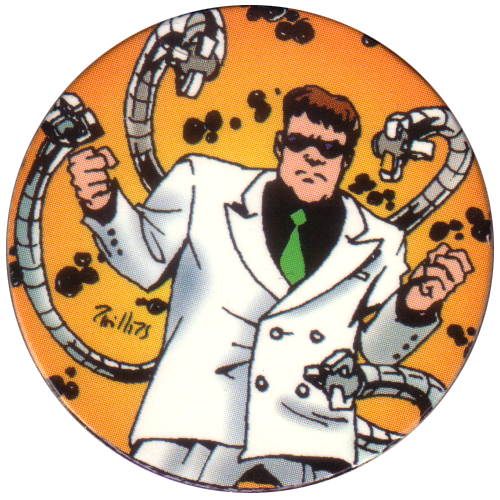 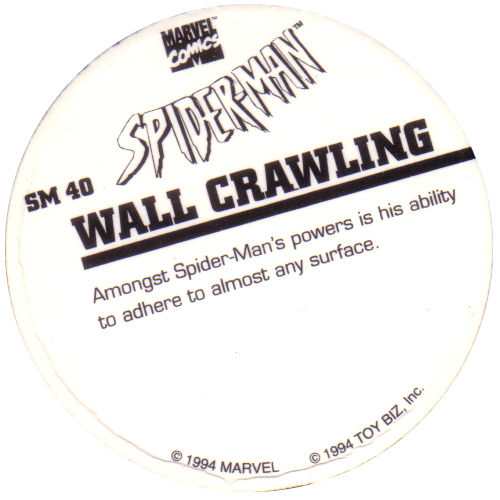 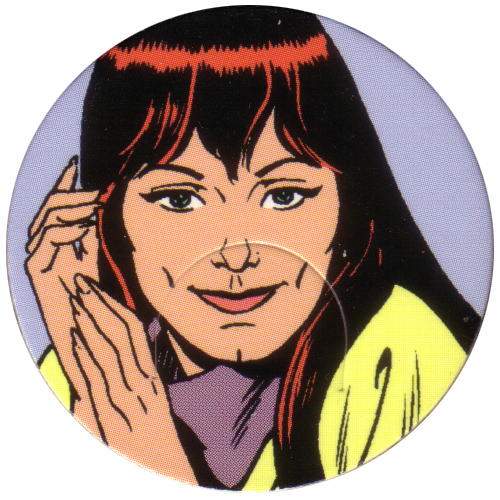 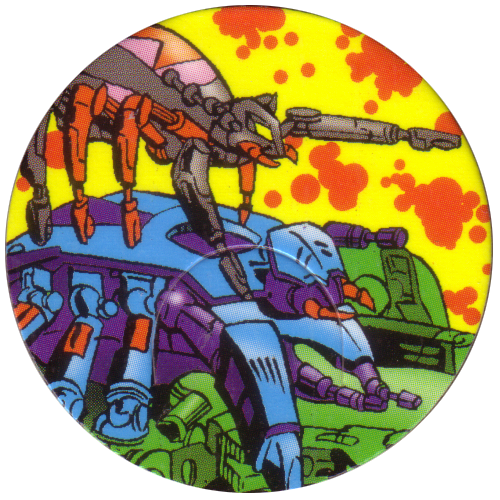 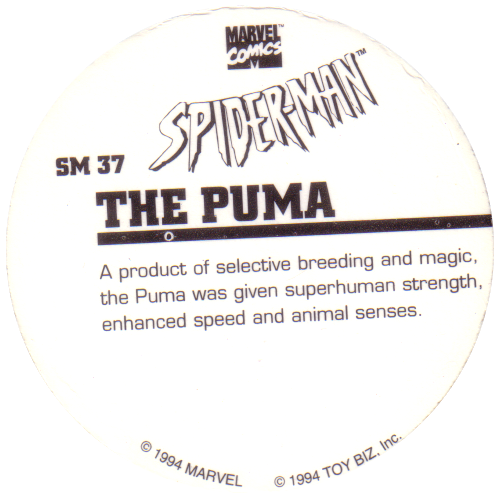 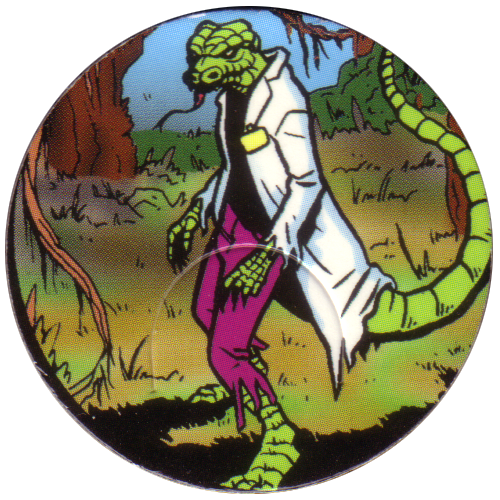 The pogs feature various spiderman characters, with a description of the character on the back.